Put the eggs and sugar in a mixer and mix until combined, mix in the stork and then finely the flour. Drain the pineapple chunks putting a few to one side to decorate and chop up the rest and add them to your cake mix. 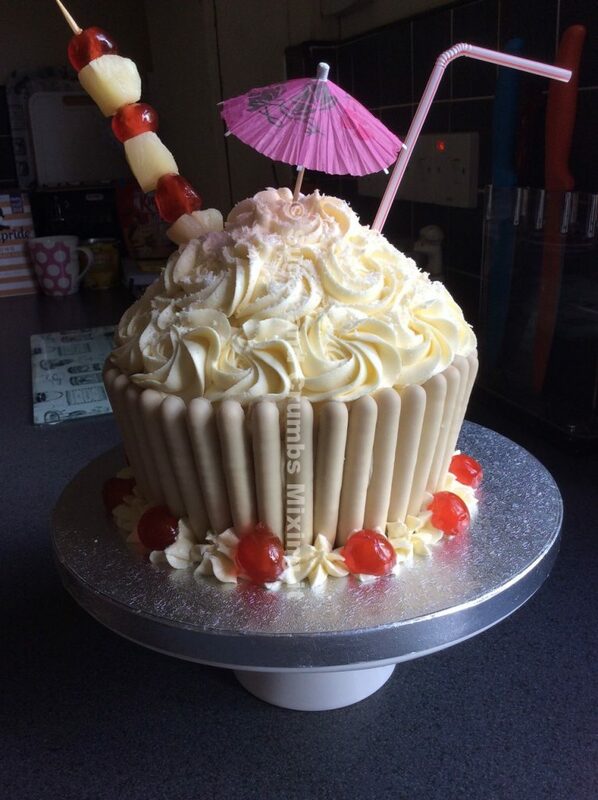 Now have fun decorating, pipe the frosting as desired,add the cherries and the pineapple chunks to the wooden skewer and sprinkle the coconut on top, add the skewer and umbrella to your cake. 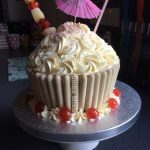 Please could you put the temp of the oven to bake the giant cupcake.You have put the time it takes to cook but not the temperature.Thank you. Sorry about the 1 star i was trying to put 5 stars but it went off before i could add more.Its a great cake and i cant wait to make it.